I have always loved Christmas. I especially enjoyed the midnight candlelight service, lighting the candles of all the people who had come to worship. We would always start at 11:00pm and when worship was finished, it was Christmas. 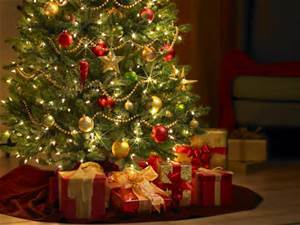 Like most children, Christmas was always a magical time of gifts, family, parties, and special food. Family traditions abounded and many great memories were formed. It seems like each year as I grow older, Christmas comes more quickly. As a child each day between Thanksgiving and Christmas seemed to take ages to go by. Now, as an adult, the time goes by so incredibly quickly! It is often difficult to step back and absorb the meaning of Advent, the waiting, the preparing, the anticipating the coming of a savior. Life is just so busy! It is now, and it was 2018 years ago as well. The world had been waiting for so long for a Messiah, and then when He did come, very few noticed. A handful of shepherds and wisemen, Joseph and Mary….. that’s it. Everyone else was too busy to be paying attention to prophesy foretold, a star hovering over Bethlehem. This Christmas will you join me in taking some time to cherish what God has done for us in coming to earth to be born as a child? LOVE comfort for the hurting. Join us as we celebrate what God has done, and is doing for us, through Jesus Christ this season!